Phoenix historian and author Sylvia Lee guides monthly walking tours while narrating nuggets of Arboretum history while placing her anecdotes in perspective next to 1920s structures, and the very first trees planted here. We're excited to have Sylvia host another slideshow of vintage photos projected on our big screen. 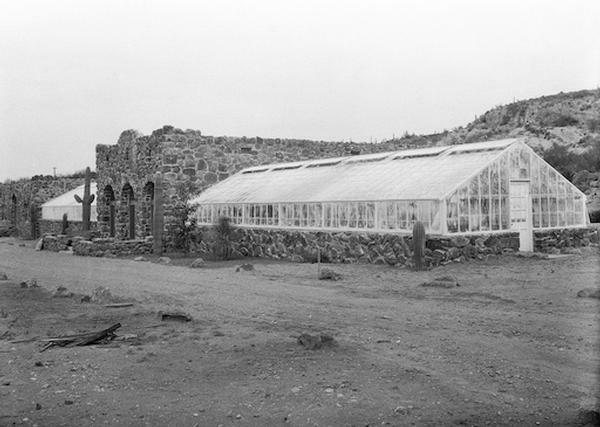 During an hour inside our air-conditioned Lecture Room, Sylvia will show images of vintage historic structures and arboretum gardens while sharing her behind-the-scenes knowledge from spending the past decade researching the history of Boyce Thompson Arboretum.